As every other mother, I can easily brag about my 15-year-old daughter Natalia’s Art achievements. She is growing into a wonderful artist. 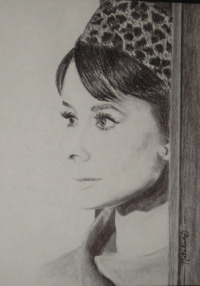 Here is her last pencil drawing of Audrey Hupburn that she just finished in her Art class.